Urban trams: (horse-drawn) 25 June 1864 - 3 March 1907; (steam) 1 July 1879 - 31 Dec. 1925; (battery) 1 Aug. 1890 - 5 Aug. 1904; (electric, from overhead wire) 6 Aug. 1904 - today. The Haags Openbaar Vervoer Museum exhibits old trams from the city. Albers, L.J.P. 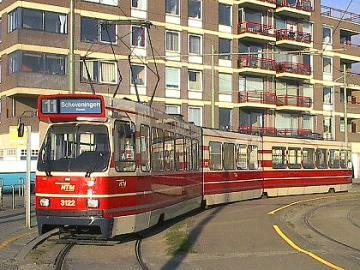 Trams en tramlijnen: De 'Blauwe Tram' - 1924-1961. Rotterdam: Uitgevers Wyt, 1971. Pulling, N. "Systems Factfile No.49 - Den Haag, The Netherlands", Tramways & Urban Transit, Oct. 2011 (74: 886), p.395-397. van Dam, F. "A new tram route in Den Haag", Modern Tramway, Dec. 1974 (37:444), p.419-423. Wansbeek, C.J. 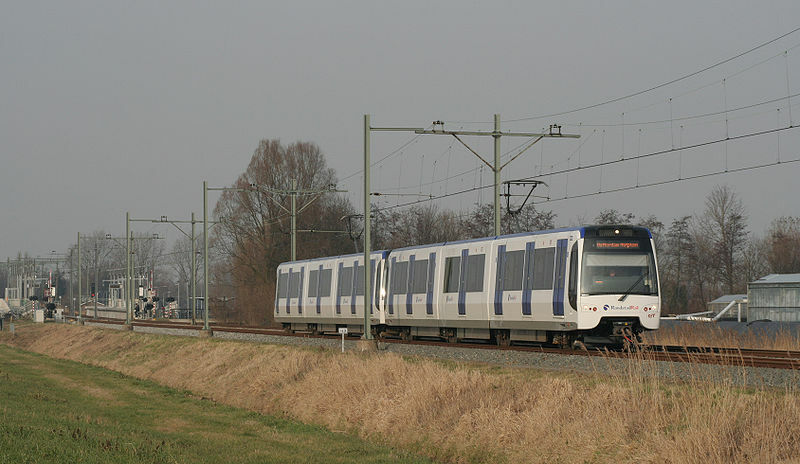 "RanDstadRail: The tram-train-metro compromise", Tramways & Urban Transit, Oct. 2006 (69: 826), p.380-384. Wansbeek, C.J. 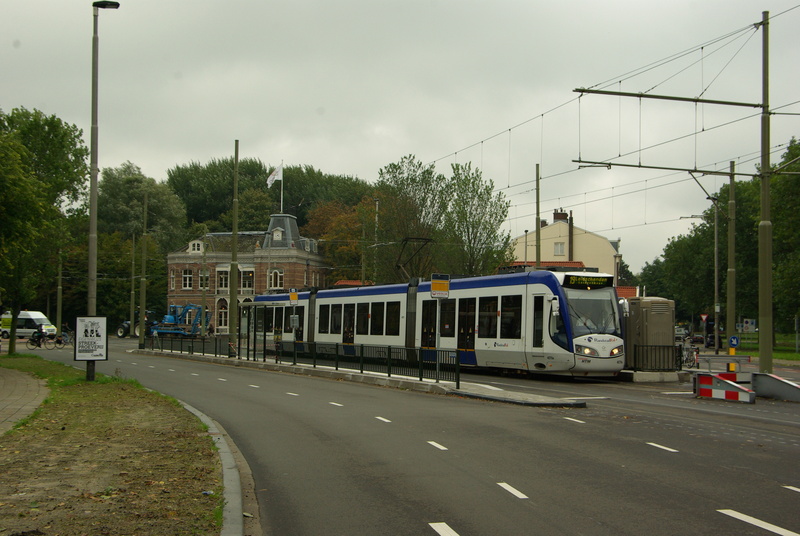 "Blue Tram: Top notch LRT shouldn't have been axed", Tramways & Urban Transit, March 2008 (71: 843), p.100-104. 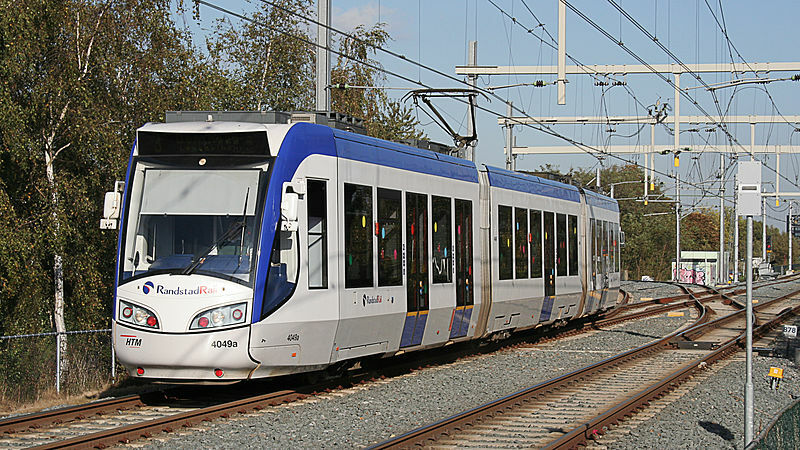 Thanks to Maurits van Witsen (from the Netherlands) for the large amount of useful information he kindly sent me concerning the history of the tram system of the Hague. Peter Zondag (from Utrecht, The Netherlands) has also kindly contributed his knowledge concerning this city.